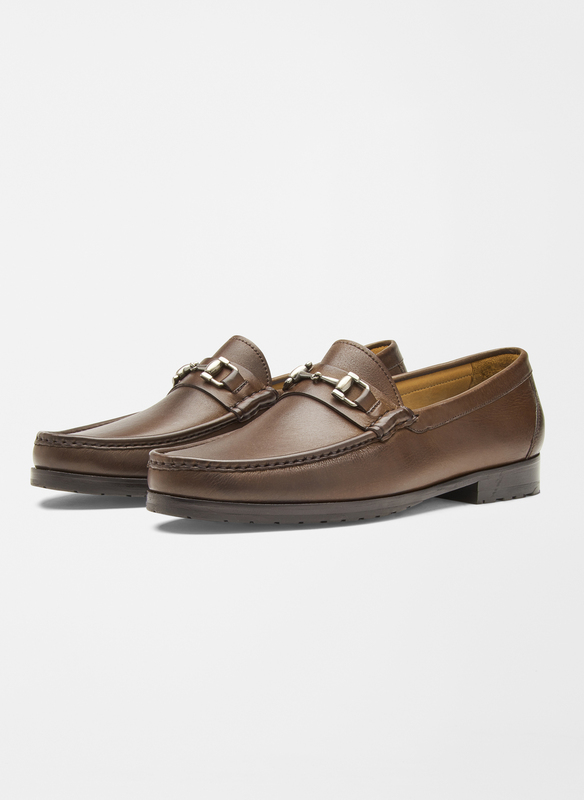 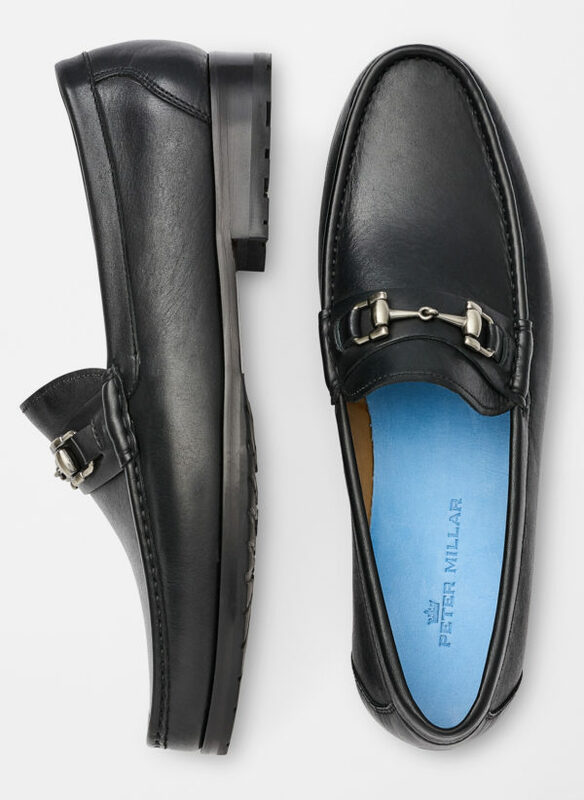 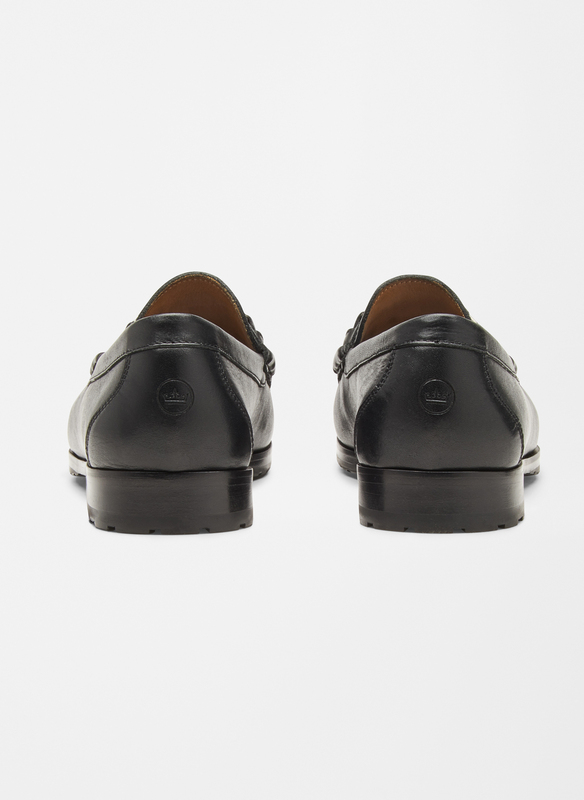 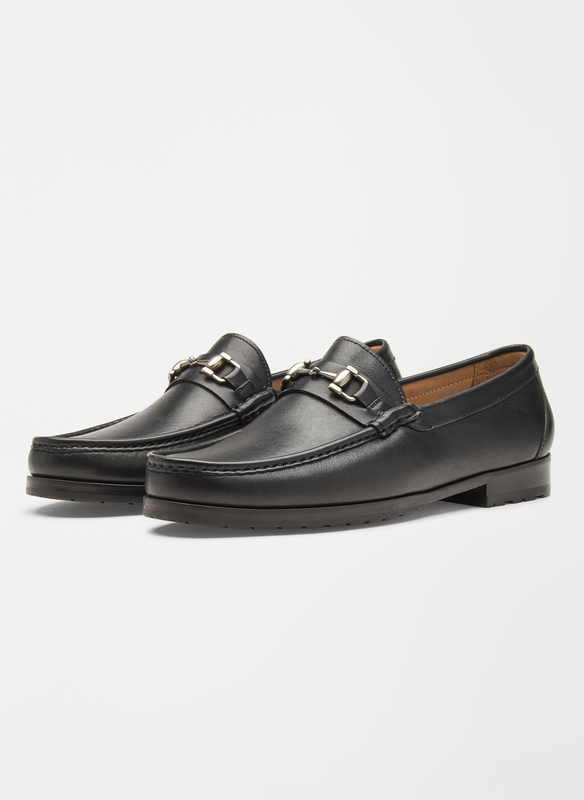 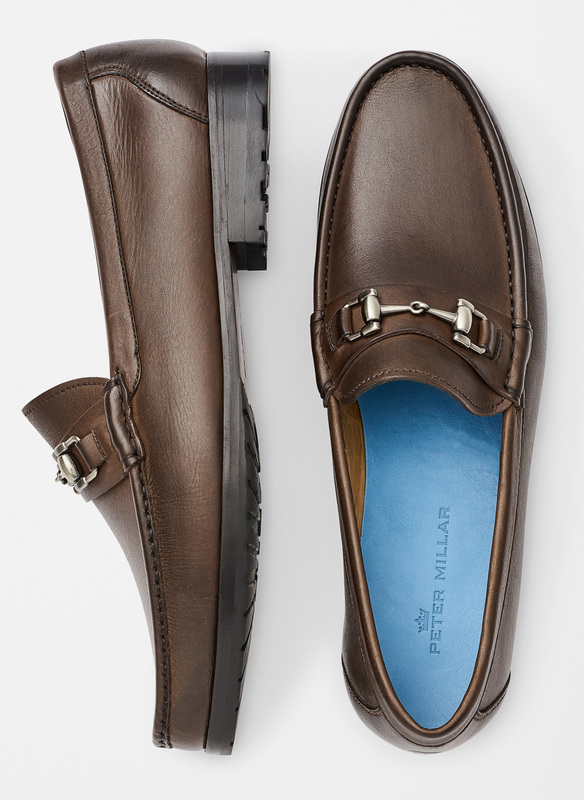 The Peter Millar Dress Bit Loafer is crafted from supple leather. 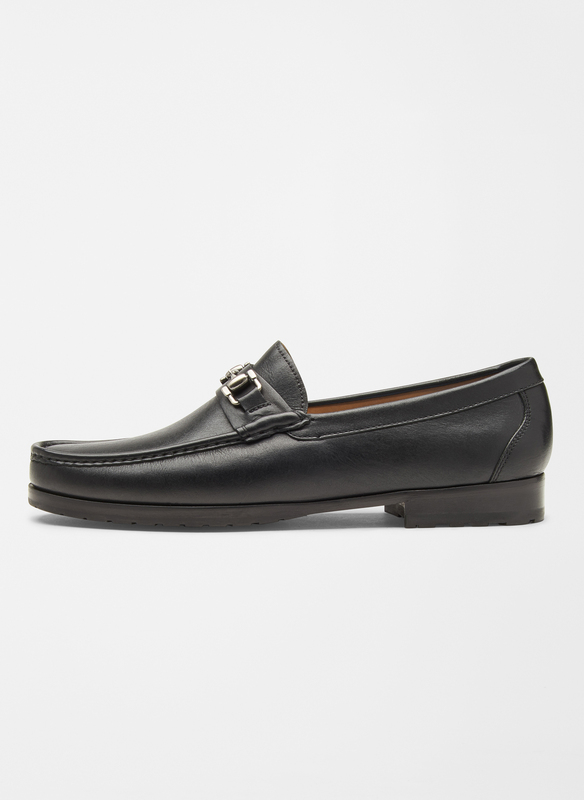 It’s detailed with a rounded toe and pewter-toned bit at vamp. 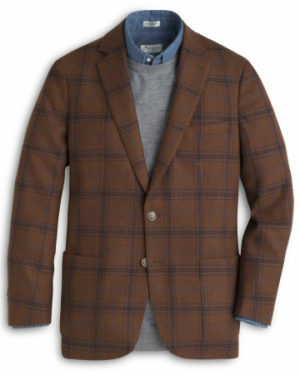 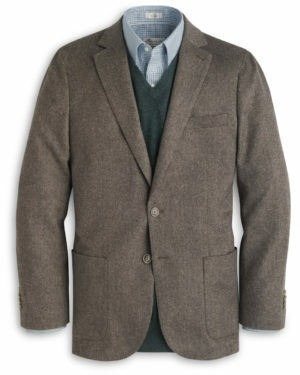 Wear it to the office and to formal occasions. 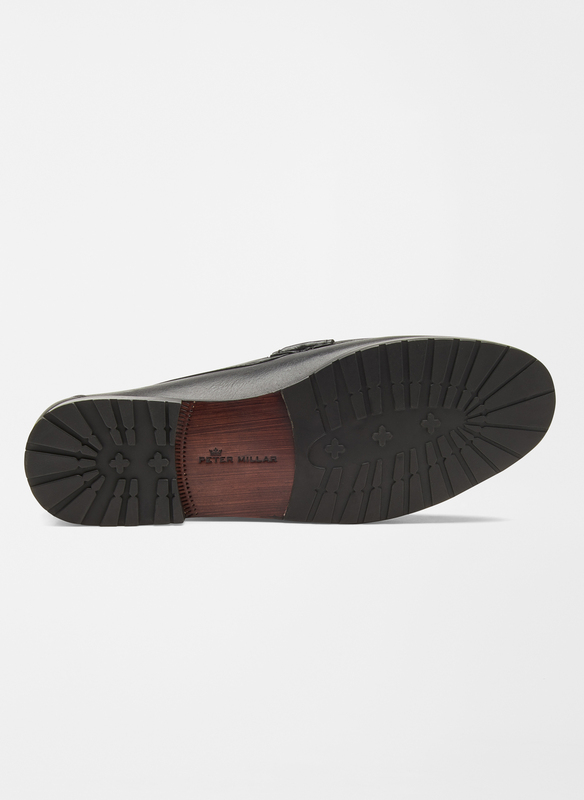 Ships with complimentary Crown Seal shoehorn.